When we hear the words "Picture book," we often think of young children, storytimes, and simple stories. This isn't the case, however. Even though children may be off to school, there are still lots of picture books—both fictional and nonfictional—that may be of interest to them and their caregivers. To find the best choices for your child, let their interests guide you. If your child is currently obsessing over their Minecraft worlds or the number of Pokémon they've caught, introduce them to the gaming section of the library. If they love sports, look for a biography of a favorite player or a book on the history of the sport. If your child is artistic, introduce him or her or them to our poetry section or our art books. Browse the shelves or our catalog and see what catches your eye! This is a book with fourteen pictures and unlimited stories. The fictional premise of the book is simple: A man called Harris Burdick dropped off a portfolio of ideas at a publishing house years ago. The portfolio contained fourteen titles, fourteen pictures (one for each title), and fourteen captions (one for each picture). Burdick stated that he would be back soon to see if there was any interest, but was never seen again. The portfolio sat until it was forgotten and was rediscovered years later. 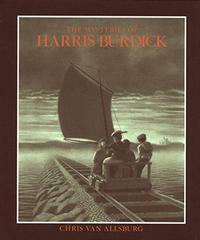 Harris Burdick (and his ideas of these stories) was gone. Now it's up to the reader to write the stories as they see fit. The images, captions, and titles will inspire children (and their caregivers) to create fantastic tales. The best part is that each time you open the book, you can write a new story or revisit a favorite telling. This is a book that can be enjoyed again and again—and shared with all members of the family. Picture books aren't limited to fictional stories only. This retelling of the history surrounding the Mendez v. Westminster case is a powerful story as well as an introduction to conversations of equality, xenophobia, and fear. In the 1940s, Mexican-Americans were segregated to separate schools in California. These schools were inferior and were hazardous to student's well-being. When the Mendez family moved to California, they were horrified by the conditions of these schools and organized a group of families to sue the state for equal rights. Tonatiuh's illustrations, inspired by Mixtec pictographic writing, are bold and impassioned. 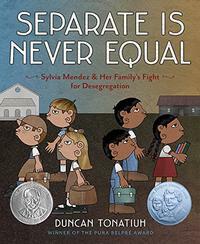 Caregivers and older readers will appreciate the back-matter that allows for further exploration on the topics of segregation and inequality. A popular genre for school-age readers is "Historical Fiction," and picture books fall into this category too. 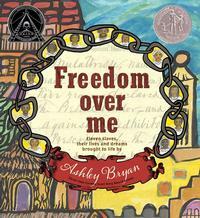 One worth noting is Ashley Bryan's Freedom Over Me. Bryan was inspired to create a collection of biographical sketches based on an estate appraisal from 1828. Bryan provides a fictional glimpse into the lives of eleven slaves who were named and priced as property. His text is poignant, sensitive, and realistic. The words are enhanced by his art, a series of portraits in swirling colors and lines that hover over the original text of the estate books. This is a book every school-age child (and their caregivers) should read. Do you have a favorite school-age picture book? If so, let us know in the comments below! November is Picture Book Month and in celebration, we're sharing some of our favorite picture books for school-age readers.